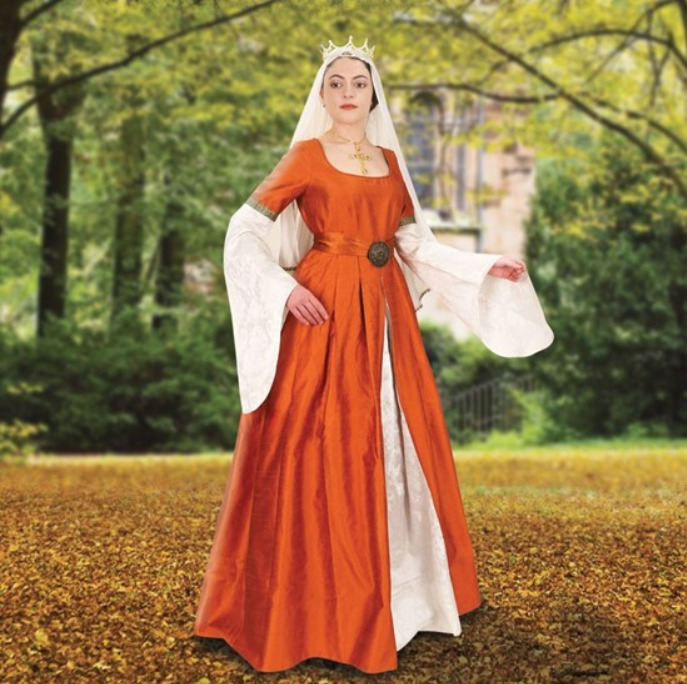 This stunning medieval gown is made of a rich amber taffeta and features a very full skirt with pleats at the waist, a scoop neck with piping, and reveals a champagne brocade center panel with matching wide, period style sleeves. Fully lined cotton underskirt, which is attached. 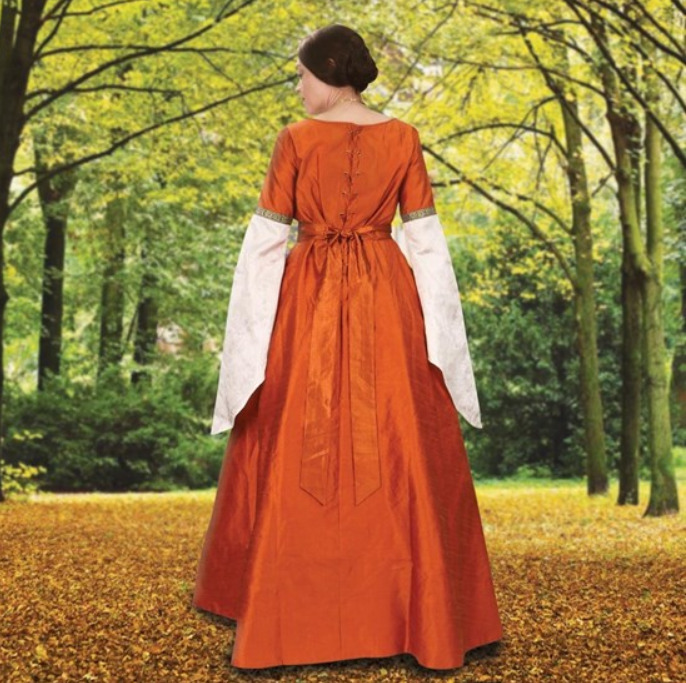 An attached belt with sash that ties in the rear has an antique golden metal medallion at the front. Lace-up back with a 4" modesty panel with a stitched taffeta ribbon allow for a perfect fit. Available in S, M, L, XL. 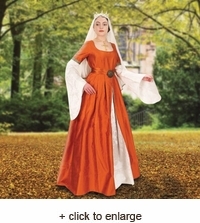 Veil and crown available separately.